Amsterdam has a pristine charm that seems somehow unaffected by the steady march of globalisation. Still, as the commercial and cultural capital of the Netherlands, and one of the top financial centres in Europe, it’s considered an alpha world city. Check out what Meeta Pandit got up to on her trip to this sinfully scintillating city. During my stay in Amsterdam, I felt the city reverberate with vivaciousness and colour. Progress and culture are poised to grow in parallel here. A live illustration is the unforgettable celebration held annually on April 26 – a do-not-miss event. 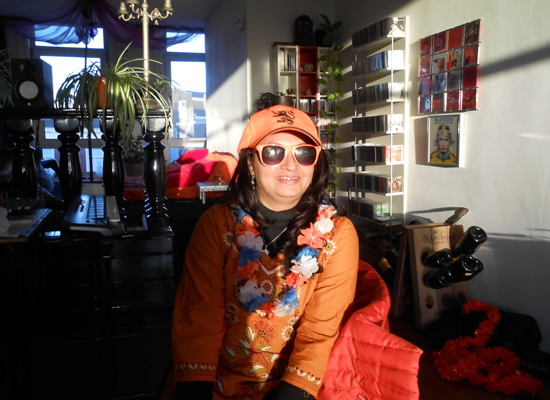 King’s Day (formerly Queen’s Day; it varies based on the gender of the ruling monarch) festivities invite locals, guests and visitors alike to soak up Amsterdam’s open-air fun from dawn to midnight. 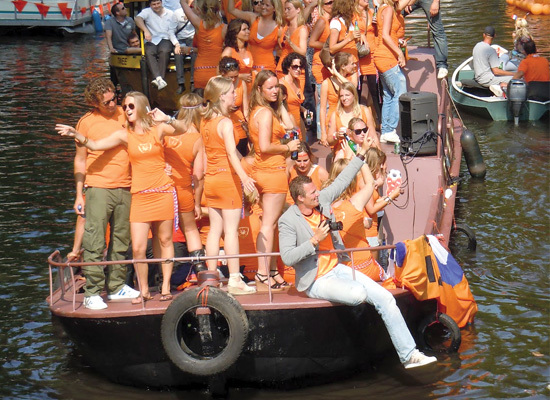 In the streets, canals, parks and everywhere in between, the city is bursting with orange, as people enjoy the biggest street party of the year. Orange pervades the senses and the ambience – from clothing to lipstick and even shoes. The electric atmosphere is definitely not to be missed. After the revelry, residents ensure that all litter is cleared away; there’s not one iota of untidiness once the celebrations wind down. The clean-up effort is a prime example of the natives’ desire to extract the best from life while maintaining a strong sense of responsibility. 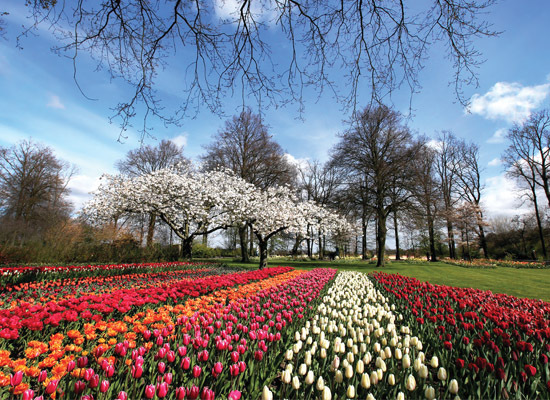 Speaking of brightness, Keukenhof, the world’s largest flower garden, also known as the Garden of Europe, is a sight to behold. It simply takes your breath away. This vast landscape stretches to the horizon; according to the park’s official website, approximately seven million flower bulbs are planted annually, covering an area of 32 hectares. Yet another inspiring facet of Amsterdam is its emphasis on cycling. After all, it is the most bicycle-friendly capital city in the world. In Amsterdam, more than 60% of trips in the inner city are made by bike, along with 38% of trips in the greater metropolitan area. Indians should take note of this environmentally-friendly method of getting around. Cycling along the canals was like travelling through a mystical world. Aimless walks through the park with only welcoming birds for company helped me strike a karmic connection with nature and God. Feeding these birds becomes a true source of joy. During my visit to the Van Gogh Museum, I felt like I’d entered a time machine and come out in that era when the great man was at his peak. The museum experience is a journey of revelation, taking you from one masterpiece to another. It provides remarkable insight into the life of the post-Impressionist painter, which was marked by emotional torment that culminated in his untimely death. Windmills, an iconic part of the Dutch landscape, mean that an encounter with at least one is a must for visitors to the Netherlands. And with eight of these located in and around Amsterdam, windmill-spotting is a great way to see the city. 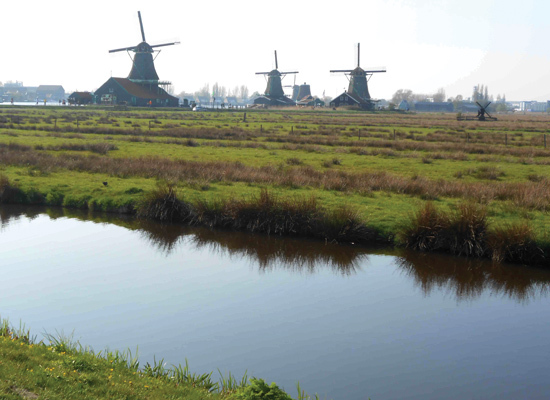 Called molen, they’ve been an integral part of Dutch life for centuries, employed for industrial purposes like milling grain or draining the lowlands of excess water. More than 10,000 windmills once dotted the Dutch landscape, and there are still some in the capital. Every year in mid-May, the country celebrates National Windmill Day, when structures across the country are decorated with flowers, figures of angels or Dutch flags, and their doors thrown open to visitors. The author is the granddaughter and disciple of Pt. Krishnarao Shankar Pandit, a doyen of North Indian classical music during the 20th century, and daughter of Pt. Laxman Krishnarao Pandit. A star in the world of classical music and a sixth-generation musician, her melodic, robust voice and intricate handling of the creative aspects of ragas have won her admirers around the world.